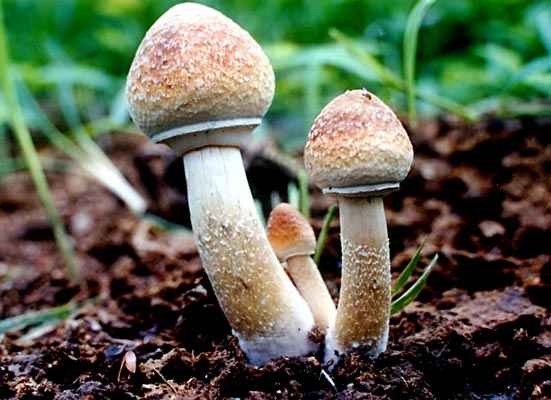 Thread: Shrooms in Dreams? Interpretation! 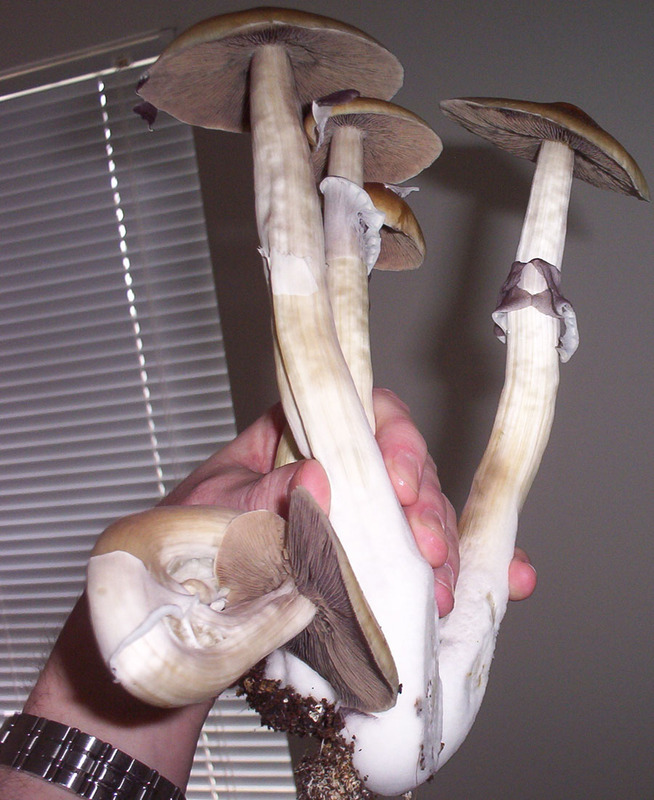 I was going to ask specifically about mushrooms, because I've been seeing magic mushrooms (psilocybe genus) and more crazy unknown strains that randomly come up in my dreams. To make this more in depth i'm gonna add pictures of what they looked like and so on. I'm just confused of the meaning, because from what I know dreams are completely, and entirely symbolical in every aspect. the first time it came to my attention was an entire week (7 days straight) of shrooms being in my dreams as random instances or interruptions that catch my eye in the dream. They looked pretty crazy at first, the weirdest one's looked like ^ but not just orange, and they were brightly lit on the top of the caps with multiple colors (blue, pink, orange, green, purple, red) and there was quite a lot of these, I only touched them in those first dreams nothing more. They also just caught my eye so I went to see what it was. Almost separating me from reality as my attention was brought to them. After about 7 dreams they began to change and there were all types of shrooms coming up in my dreams, in the strangest locations too. So naturally I knew what type of shrooms these were and that they were active. But in all of the upcoming dreams I had never actually eaten any, just picked, watched, observed. Until recently, yesterday actually. I was on some Island or something similar and I had found some mushrooms on the side of a fence! They looked like this but with a lot more dark purple to them. I grabbed two large shrooms from the fence, and proceeded to eat one! I had never tasted fresh shrooms, only dry so this was new to me. I've heard of people even tripping after eating shrooms in dream. But after I ate mine, I woke up shortly. Anyways I know for a fact this has something to do with possible traumas or something but I never really understood why these shrooms come up so often in my dreams. I have a pretty deep spiritual connection to shrooms, because they gave me the most intense and vivid dreams i had ever had (when taken in real life). But they keep coming up in dreams so what does it mean?? The buildings looked like a mix of these two mixed with the top having the roof style of the bottom. There were a lot more windows, and each roof thing had a balcony under it. There were hundreds of buildings like this spaced out about 30 meters apart in every direction, and nothing but grass and a path between each one. The grey sky, rain and green grass had great contrast against the monotone colors of the buildings. 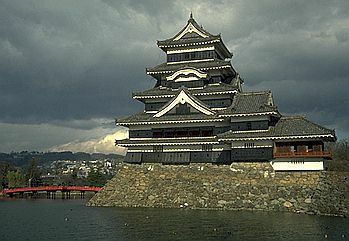 All the windows to the balcony's were huge, and the roofs like i stated before classical styled like old Japanese castles. 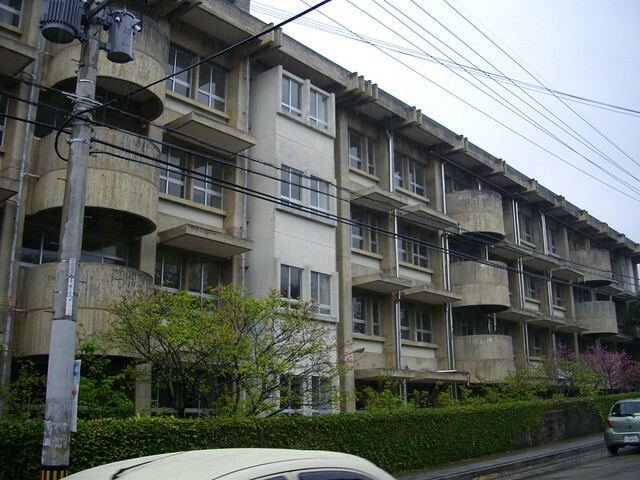 with more than 7 roofs. I'm not the strongest person ever since I recently dislocated my shoulder in football and the other shoulder biking. So Naturally I wouldn't be able to parkour using my arms very fast. But in this dream, I leaped up onto a ledge, pulled myself over and kept jumping onto each little roof ledge jumping up and vaulting myself up despite my disbelief in the dream I kept harnessing myself up and up this building while it was raining with minimal effort. I got to the very top, and i forgot what happened after that because I think i woke up, but what does this mean? effortlessly parkouring up a very challenging wall of balcony's? I made it up without falling or slipping and it felt like a video game. what does this mean? I'm not the strongest person ever since I recently dislocated my shoulder in football and the other shoulder biking. So Naturally I wouldn't be able to parkour using my arms very fast. But in this dream, I leaped up onto a ledge, pulled myself over and kept jumping onto each little roof ledge jumping up and vaulting myself up despite my disbelief in the dream I kept harnessing myself up and up this building while it was raining with minimal effort. I got to the very top, and i forgot what happened after that because I think i woke up, but what does this mean? effortlessly parkouring up a very challenging wall of balcony's? I made it up without falling or slipping and it felt like a video game. what does this mean?" JoannaB's comment: Personally I think this passage "I have a pretty deep spiritual connection to shrooms, because they gave me the most intense and vivid dreams i had ever had (when taken in real life). But they keep coming up in dreams so what does it mean??" 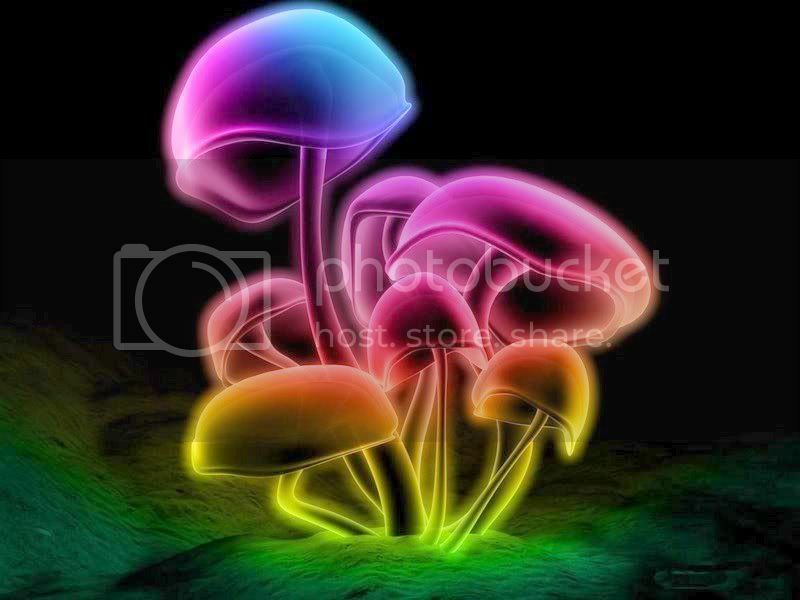 May mean that the shrooms may not be symbolic after all but literally represent shrooms. No, dreams are not always symbolic. But I may be wrong of course. Last edited by JoannaB; 10-27-2013 at 10:30 PM. I disagree to agree, with Joanna. I gather your ultra-vivid dreams are the after-glow of your experience with the magical plant, trying to recapture the profound experience or spirituality. No trauma apparent. Hence you never ate any, just picked, watched, observed this in yourself. You could not recapture the drug experience. This came to your attention for 7 days straight in random instances or interruptions that caught your eye. The colors can mean the emotions or states of mind they make you feel. You touched these aspects, as they caught your eye, and were separate from normal, probably mundane, reality. Then this grabbed your attention in the strangest locations or times in your life. On the fence separating two sides of you, eating fresh ones of the highest value can mean your desire to partake of the spirit fresh, not by dried drugs, which would be big. You would not feel separated then, but connected. You woke up to that. You ran from the strangeness of seeing how colorless and endlesly monotonous what is built in you or in society or the real world is, by comparison of what is growing, or can be, from this misery. Yet you have a grand overlooking view if only you could make it real. You wanted to climb to the top of that- the 7 rooves like 7 days - or thought you could, effortlessly. But it felt unreal. It was against your disbelief. So again it's the magical quest of the high life you glimpsed, which seems it should be so easy, as the drug gives. So you woke up to that realization. You are wondering why you dream about mushrooms all the time, at the same time you disclose your fascination and occupation with them. We often dream about what's on our mind, and you seem to have mushrooms on your mind. If you are disturbed by the sheer volume of mushrooms in your dreams, and one would like to interpret the occurrence of them, one could speculate that the dreams are telling you that mushrooms take up too much of your time and energy, but one would need to have more material to draw such a conclusion. Oh, and thanks JoannaB for making the post easier on the eye. wow, thats a pretty accurate reply! thanks so much, this doesn't contradict what JoannaB but in a way it could add on. very interesting interpretation thanks! I recently had a dream that I was on this island and it had purple shrooms, it was weird and I went into a cave or something and there was so many more of these purple mushrooms. I ended up eating them. I’ve never done shrooms Irl but I’ve been having lots of dreams about shrooms. When I saw that you have also been to this island, I knew the dream must have meant something.